Barbour Books has been a pleasure to work with through the entire publication process, from proposal to galley corrections. And now I couldn’t be more pleased with this beautiful cover they’ve created. 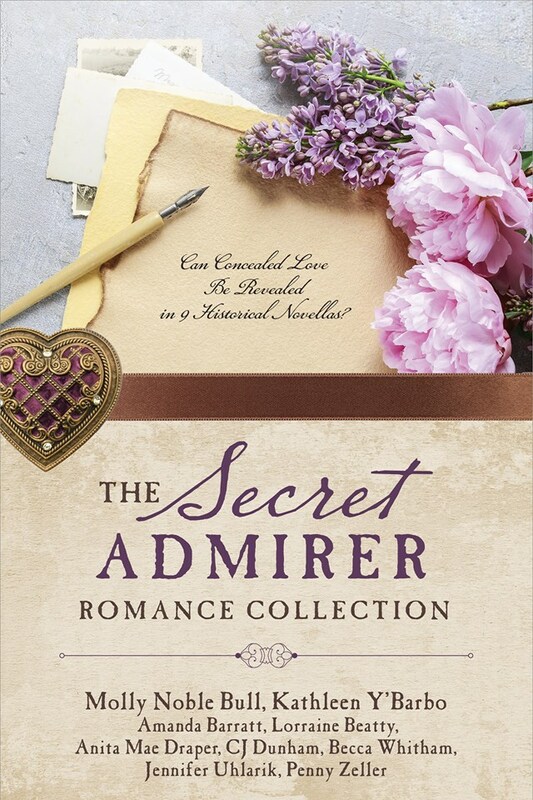 I’m thrilled, alongside my gifted co-authors, to present The Secret Admirer Romance Collection cover and book release date. Emilia had made a vow to write to Asa, her fiancé, until the last day of the war. Even after the notification of his death the year before, she continued this ritual. Was it a morbid thing to write letters to one’s dead fiancé? No more so than talking to the photo of a departed loved one, she tells herself. And the ritual is all that she has left to sustain her. As she walks to the post on this spring day, church bells begin to ring in wild succession throughout the town, followed by the cry, “Lee has surrendered!” And Emilia knows this will be her last letter to Asa. But when she gets to the post office, she finds the postman blanched and tremulous, and not from the outbreak of jubilation on the other side of the window: he presents Emilia with a letter marked from “1ST SGT ASA WILSON, XVIII CORPS, WASHINGTON CITY.” Asa? Could it be…was it possible…had there been a mistake? Was he still alive? Trembling, she accepts the letter. Opening it, she sees that it has been dated June 2, 1864–the day Asa died. This had been his last letter to her. And what it reveals changes her life forever. This writing venture has not only been a delight, it has been revelatory: I found the diary of a Canandaigua woman, twenty-three year old Caroline Cowles Richards, who wrote about the day of Lee’s surrender, allowing me to capture the authentic outbreak of near riotous jubilation that hit her streets. I also found Isaac Goodnow’s diary, the founder of Manhattan, Kansas, and included snippets in the story. I felt like I had stepped back in time as I read the lines they penned over 150 years ago. Now you can step back too, through the eyes of Emilia Davis in “The Last Letter,” and experience history and love in this historical romance novella. Thank you for stopping by. Click here for a gorgeous Valentine printable to celebrate the romance in your life!